Anke Redl is half-German and half-British. She represents the third generation of her family living in China. She is a Graduate of the School of Oriental and African Studies (SOAS) in the UK and has been a scholar at Beijing University. Anke began her professional media career as a producer with WDR/German TV. She later worked for the China Bureau of Reuters TV as well as the Financial Times Media & Telecoms in the UK. As such she went on clandestine camera assignments to North Korea, reported on the death of Deng Xiaoping and the handover of Hong Kong. More recently she has acted as the producer for a number of China related documentaries for German public TV. 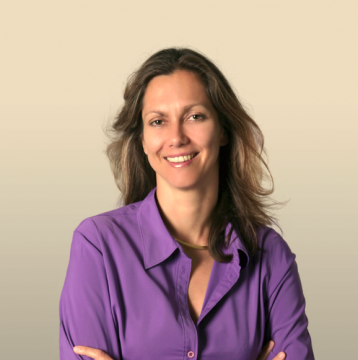 Since 1999 Anke has been the Managing Director and Partner of China Media Management Inc. Besides her management responsibilities Anke has been instrumental building the German Films presence in China and managing the Sino-German Media Summit with partners Bosch Foundation and Global Times for the last 6 years. She was named as one of ‘Top Women in Media in Asia (Content Asia)’ in 2014 and has spoken on and moderated numerous panels focused on the Chinese media industry. Anke has been living in Beijing for over 15 years and speaks fluent Mandarin and her five-year old twin sons are now the fourth generation growing up in China.